The crew is back in studio as we have a couple of major anniversaries to discuss! First up is the 25th anniversary of the modern classic, Terminator 2: Judgement Day. Mark, Frank, and Matt discuss the film, their favorite scenes, what it means to Terminator as a franchise and where should Terminator go if the franchise continues on. 1991 seemed like just yesterday but here we are 25 years later discussing the classic sci-fi action film! Then we move on to another franchise that is celebrating 50 years since making it's debut on television. That is of course Star Trek as we discuss the popular space franchise round table style just talking about our favorite movies, moments, captains and more as Star Trek turns 50 this year and we wait for the new film in theaters. We also discuss Star Trek's cultural impact and more as the franchise continues to boldly go where no man has gone before in it's adventures. 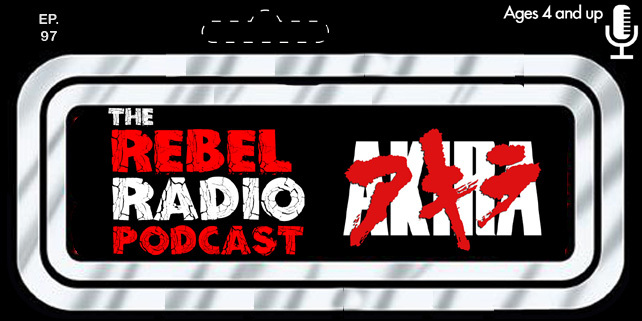 We then discuss some news briefs such as the trailer for season 3 of Star Wars Rebels and more in this space saga filled episode of The Rebel Radio Podcast!